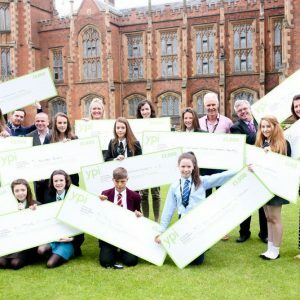 2012-2013 was the first year that we ran the YPI program in Northern Ireland. 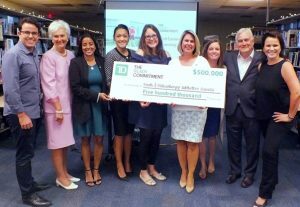 We opened the program in 5 schools, and we’re on track to grant 10 grants in 2013-2014! 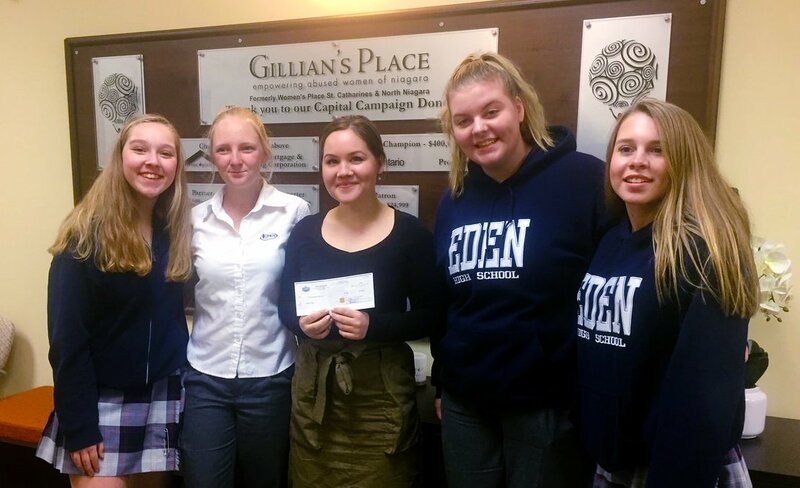 It’s always an exciting feeling to be able to help students connect with local charities in new country, and it’s great seeing the different issues that students are interested in. The focus this year ranged from infant care to autism support. Amazing! We always enjoy seeing YPI students from across the country celebrating the program and finishing with a bang. This year, we had some amazing special guests at our UK events in Scotland and England celebrated with hundreds of students who granted thousands of pounds to local charities. We were excited to able to announce that YPI in Scotland, England had collectively surpassed £1,000,000 in grants to local charities. We recieved some excellent press pieces, one of which you can see here with Sir Ian speaking about YPI Scotland at 11:35 of the half-hour segment. We celebrated our 10th year of YPI during 2012-2013, with 30,000 high school students across Canada participating in YPI’s 10th year of programming, joining a total of over 58,000 students in five different countries on both sides of the Atlantic. We ran the YPI 10th Year Tweet-a-thon during the school year, and had a lot fun speaking to different charities, and getting so hundreds upon hundreds of entries from each different YPI country. Thank you all for pariticpating! We had a great time at Growout Forum 2013, at our first-ever Grow Out Forum at the Sony Centre in Toronto, on. 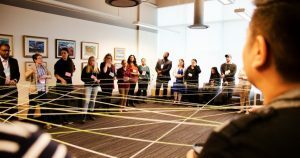 The Growout Forum is a new event that gives student more skills-based learning and a conference-style experience as part of the YPI program, and what a day it was! We had inspirational speeches from Warren Coughlin and Alvin Law, and spectucular performances from JRDN, Ill Skillz and the B-Girls. We had lunchtime activities and spent time brainstorming ideas for the upcoming year with teachers during lunch. It was insprational for us as a team, and we loved connecting with everyone. You can see the full album of the day on Facebook. It’s been a great year…we can’t wait to see what 2014 has in store for YPI! If you have a great story from the 2012-2013 school year, you can share it with us by sending us an e-mail, or post it on our Facebook wall. PrevPrevious PostGrow Out Forum 2013!